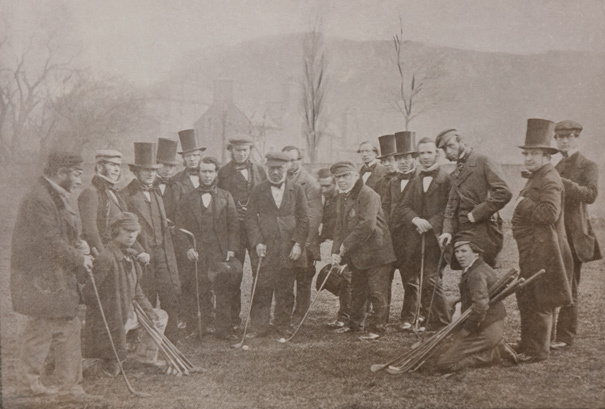 The image above is just one from the magnificent collection of old prints that will be included in the book I am currently designing to celebrate the 250th Anniversary of the world’s 4th oldest golf club – Bruntsfield Links Golfing Society. It is the first extant photograph of the Society’s members, c1855. The Society will be celebrating this milestone anniversary in 2011 with numerous golf and social events, that will be included in the final chapter of the book. Once that’s done, we’ll send it all off to print early in 2012.